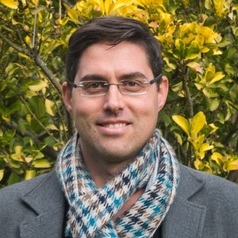 Deon Cloete (BA.Hons Psychology, M.Th Clinical Pastoral Psychology) is a complex systems change curator and an experienced organisational development practitioner at the Centre for Complex Systems in Transition (CST) and University of Stellenbosch Business School (USB). Deon’s doctoral research focused on complex transformative change praxis and processes that cultivate alternative theories of change and action for sustainable and resilient organisational change and development. His work experience includes organisational change and development management roles, implementation of quality business management systems, mentoring, coaching and facilitating organisational systems change and development initiatives in international and multi-cultural group contexts.